Welcome to The Fotobug podcast 150. In recent news, GoPro has announced an partnership with Microsoft and after a less than stellar quarter, GoPro announced layoffs and are dropping 3 models from their entry-level lineup.. Also, KelbyOne has announced layoffs and one very longtime trainer for Kelby has announced he will not longer do video training and won't be attending any future Photoshop World events. A team of researchers at Rice University are developing a thin, lensless camera called FlatCam, which replaces the traditional lens with a grid-like coded mask essentially made of multiple pinholes. Chinese company Techart has produced an adapter that works with the AF system of Sony's A7 II and A7R II cameras to create an autofocus effect for Leica M mount lenses. For more details and more news, watch the podcast! Lots of discounts available! Check on the podcast for information about the LensRacks. If you would like to buy your own, use code KSBACKERS20 at www.lensracks.com when you check out to save 20%! Also, Fred shows off his new vest from The Vest Guy and if you would like to get your own custom photo vest, go to www.thevestguy.com and use FOTOBUG for your 20% off at checkout. As always, remind them you heard about it on The Fotobug! Luka Esenko joins us from Slovenia to discuss his new app for smartphones - the Snapp App. 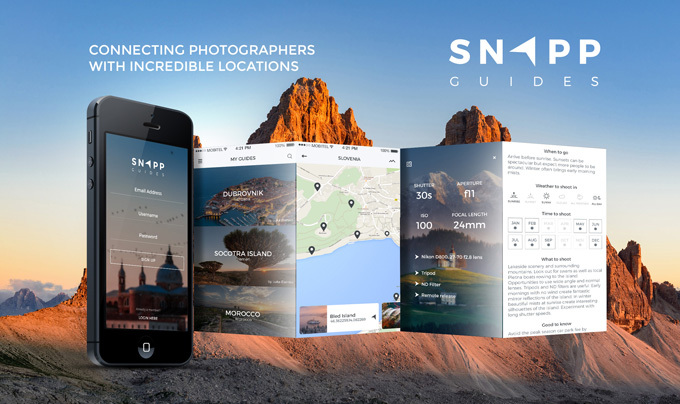 The Snapp App has been created for photographers traveling to new or known locations and will contain complete guides to those locations. The app will include directions on where to go, when to be there and even sample images including camera settings. The guides are written by knowledgeable photographers who know the areas they are writing about. The Snapp App will be free, just buy the guides for the locations you need. For information on when the app will be available, follow The Fotobug on our Facebook page. The app will initially be released for IOS devices and shortly for Android. If you are a photographer who likes to travel, you will want to tune in to check out this new app! Mark the dates April 8, 9 and 10 for the upcoming Tampa Bay Photo Shootout! More information can be found at www.thephotoshootout.com. You won't want to miss this 2nd annual event! Lots of great workshop leaders and it is going to be a great weekend to learn new techniques and to polish up your skills. Jim recently returned from conducting workshops at the 19th annual Space Coast Birding and Wildlife Festival in Titusville and shares some highlights of the event. In recent news, Manfrotto has introduced three improved LED panels for videomakers and photographers, MaxCurve as an iPad and iPhone app that uses curves to do image adjustments and can connect to desktop versions of Photoshop. Tamrac has introduced new camera bags in its new Hoodoo product lineup which are water-resistant lightweight bags. Sony has posted an advisory about light leaks on its DSC-RX1R II camera. A GoPro camera falls thousands of feet from a sky diving airplane into a pig pen and is found 8 months later - is the footage real or fake? Chinese manufacturer ShenZhen Yongnou is introducing a variable temperature LED wand for photographers. 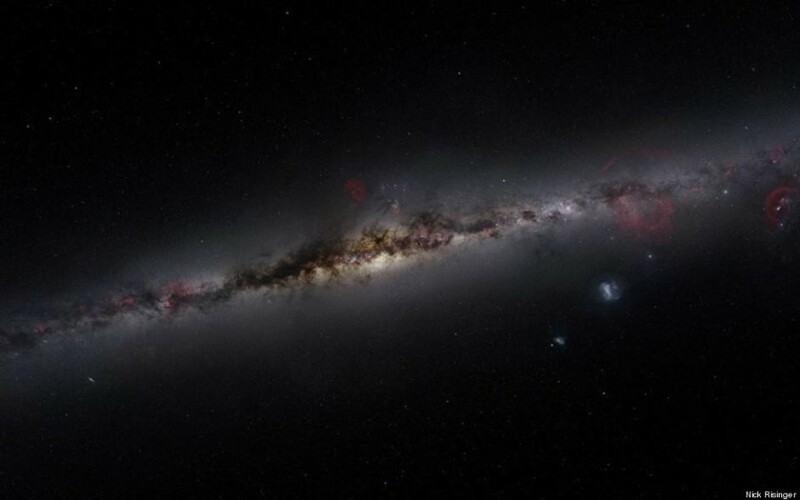 Photographer Nick Risinger has traveled over 60,000 miles for years to create a 5,0000 megapixel image of the entire night sky! For more details on these stories and more, watch the podcast! The 19th annual Space Coast Birding and Wildlife Festival is now over and Jim was one of the workshop leaders and shares some images from Titusville. The Festival was very well-attended and the organizers told Jim that they fully plan to expand photography workshops for future festivals. Thanks to all who helped out and all those who attended the workshops and also to Hugh and Joyce who won Rogue Safaris during the "Patterns in Nature" workshops conducted by Jim. Titusville is a wonderful area full of Florida wildlife and our own Carolyn joined the "bird on the head" club! Jim also shares some underwater video of manatees photographed in Crystal River. Every winter, the manatee seek warmer waters in Florida's springs and Crystal River is a popular spot for manatee watchers. Coming up next time: Luka Esenko talks about the new Snapp Guide app for photographers, be sure not to miss it! Also, coming in a few weeks, Tim Manakee will talk about his Camarque France workshop and for our listeners who would like a special early discount, contact Jim at jim@thefotobug.com for details!